አቦና አብ ሰማያት ትነብር . ………. “My love, what can I do to make the whole world love you? … Make use once again of this wretched instrument to renew the faith and the conversion of sinners“. This generous outburst, uttered at the feet of her ‘Supreme Good’ – who drew her ever closer to him – constituted the deepest yearning of Anna Rosa Gattorno’s heart, leading her to offer her life totally in a continuous sacrifice for the glory and pleasure of the Father. She was born in Genoa on 14 October 1841 into a deeply Christian, well-to-do family of good name. She was baptized the same day in the parish of S. Donato and received the names Rosa, Maria, Benedetta. In her father Francesco and her mother Adelaide Campanella, like their other five children, she found the first models for her moral and Christian life. When she was 12 years old, she was confirmed at S. Maria delle Vigne by Cardinal Archbishop Tadini. As a young girl she was educated at home, as was the custom in rich families at that time. With her serene and loveable character, open to piety and charity, she was nonetheless firm and knew how to react to the confrontations of the political and anticlerical climate of the time, which did not spare even some members of the Gattorno family. At the age of 21 Rosa married her cousin Gerolamo Custo (5 November 1852), and moved to Marseilles. Unforeseen financial difficulties very soon upset the happiness of the new family which was forced to return to Genoa in a state of poverty. More serious misfortunes were looming: their first child, Carlotta, after a sudden illness was left deaf and dumb for life; Gerolamo’s attempt to find fortune abroad ended with his return, aggravated by a fatal illness; the happiness of the other two children was deeply disturbed by her husband’s disappearance which left her a widow less than six years after their marriage (9 March 1858) and, a few months later, by the loss of her youngest little son. The succession of so many sad events in her life marked a radical change which she called her “conversion” to the total gift of herself to the Lord, to his love and to love of neighbor. Purified by her trials and strengthened in spirit, she understood the true meaning of pain and was confirmed in the certainty of her new vocation. Under the guidance of her confessor, Fr. Giuseppe Firpo, she made private perpetual vows of chastity and obedience on the Feast of the Immaculate Conception 1858; followed by vows of poverty (1861) in the spirit of St. Francis of Assisi, as a Franciscan tertiary. Since 1855, she had also obtained the benefit of daily communion, which was uncommon in those days. She remained constantly anchored to this source of grace and, encouraged by ever growing intimacy with the Lord, she found support, missionary fervour, strength and zeal in service to her brothers and sisters. In 1862, she received the gift of hidden stigmata, perceived most intensely on Fridays. As a faithful wife and exemplary mother, never depriving her children of anything – always following and loving them tenderly – with greater availability she learned to share in the sufferings of others, giving herself in apostolic charity: “I dedicated myself with greater zeal to pious works and to visiting hospitals and the poor sick at home, helping them by meeting their needs as much as I could and serving them in all things”. The Catholic associations in Genoa competed for her, so that although she loved silence and concealment, her genuinely evangelizing way of life was remarked by all. Progressing on this path, she was made president of the “Pious Union of the New Ursulines Daughters of Holy Mary Immaculate”, founded by Frassinetti, and was entrusted with the revision of the Rule destined for the Union at the express wish of Archbishop Charvaz. On that precise occasion (February 1864), redoubling her prayers to Christ Crucified, she received the inspiration for a new Rule, her own specific Foundation. Fearful of being forced to abandon her children she prayed, made acts of penance and asked advice. Fra Francis of Camporosso, a lay Capuchin, who is hom a saint, to whom she also expressed her apprehension before the serious troubles that were imminent, supported and encouraged her, as did her confessor and the Archbishop of Genoa. However, feeling her maternal duties more and more acutely, she sought authoritative confirmation in the words of Pius IX, with the secret hope of being relieved. The Pontiff, at an audience on 3 January 1866, instead enjoined her to start her foundation immediately, adding: “This Institute will spread in all the parts of the world as swiftly as the flight of the dove. God will take care of your children: you must think of God and his work” She therefore accepted to do the Lord’s will, and as she then wrote in her Memoirs: “I generously offered them to God and repeated to him Abraham’s words: ‘Here I am, ready to do your divine will’.… Having offered myself for his Work, I received immense consolations…”. Overcoming the resistance of her relatives and, to the disappointment of her Bishop, leaving the associations in Genoa, she founded her new religious family in Piacenza, and named it definitively “Daughters of St. Anne, mother of Mary Immaculate” (8 December 1866). She was clothed on 26 July 1867 and on 8 April 1870 made her religious profession, together with 12 sisters. Fr. Tornatore, a priest of the Congregation of the Mission, collaborated with her in the Institute’s development. Expressly requested, he wrote the Rule and was then considered Co-Founder of the Institute. 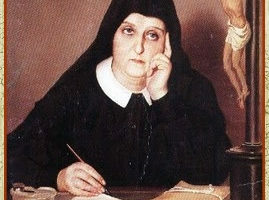 Entrusting herself totally to divine Providence and motivated from the start by a courageous charitable impulse, Rosa Gattorno began with a spirit of motherly dedication to consolidate God’s Work as the Pope had called it and as she too, chosen to cooperate in it, would always call it, attentively caring for any form of suffering and moral or material poverty, with the one intention of serving Jesus in his painful and injured members and of “evangelizing first and foremost with life”. Various works came into being for the poor and the sick with any form of illness, for lonely, elderly or abandoned persons, the little and the defenseless, adolescents, and young girls “at risk” for whom she arranged appropriate instruction and subsequent integration in the working world. In addition, she soon opened schools for the people and for the education of the children of the poor, and other works of human and evangelical advancement in accordance with the greatest needs of the time and with an effective presence in ecclesial and civil life. “Servants of the poor and ministers of mercy” she called her daughters, and she urged them to accept, as a sign of the Lord’s favor to serve their brethren with love and humility: “Be humble … only think that you are the lowliest and the most wretched of all creatures who render service to the Church… and have the grace to belong to her”. Less than 10 years after its foundation, the Institute obtained the Decree of Praise (1876), and its definitive approval in 1879. For the Rule, it had to wait until 1892. Highly esteemed and appreciated by all, she also worked in Piacenza with Bishop Scalabrini, who has now been beatified, and in particular in the institute for deaf-mutes which he founded. However, Mother Rosa Gattorno was not spared humiliations, difficulties and tribulations of all kinds. Despite this, the Institute spread rapidly, in Italy and abroad, thus achieving the Foundress’ ardent missionary desire: “Oh my Love! How I feel myself burning with the desire to make you known and loved by all! I would like to attract all the world, to give to all, to appease all … I would like to go everywhere and shout out for everybody to come and love you”. 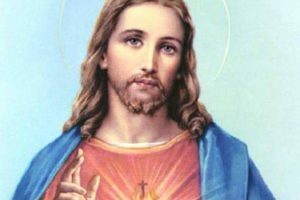 To be “Jesus’ voice” and to bring all people the message of the love that saves was and always remained her heart’s deepest desire. In 1878, she was already sending the first Daughters of St. Anne to Bolivia, then to Brazil, Chile, Peru, Eritrea, France and Spain. In Rome, where her work began in 1873, she organized boys’ and girls’ schools for the poor, nursery schools, assistance for the new-born babies of workers in the tobacco factory, houses for former prostitutes, serving women, nurses for home care, etc. There she also had the genera late built, with its adjacent church. In all, at her death there were 368 houses in which 3,500 sisters were carrying out their mission. The secret of her journey of holiness, of the dynamism of her charity and of the strength of mind with which she could face all obstacles with firm faith and guide the Institute with full dedication, courage and far-sightedness for 34 years, was her continuous union with God and total, trusting abandonment in him: “Although I am in the midst of such a torrent of things to do, I am never without the union with my Good”; her attention and docility to the impulses of the Spirit; her deep and loving participation in Christ’s Passion; her ceaseless prayers for the conversion of sinners and the sanctification of all mankind. She had a deep sense of belonging to Church and was ever humble, devout and obedient to the directives of the Pope and the hierarchy. With her fondness of St. Anne, she had a special love for Mary, to whom she entirely entrusted herself, in order to belong totally to God and totally to her brethren. A pure and simple instrument in the hands of the “superfine Craftsman”, conformed to the Poor Christ and with him, a victim of love, she fulfilled in her life the desire she inculcated in her daughters: “To live for God, to die for him and to spend life for love”. She lived like this until February 1900, when she caught a dangerous form of influenza and rapidly deteriorated: her health, sorely tried by her acts of penance, frequent exhausting journeys and an enormous mass of correspondence, worries and serious disappointments, no longer resisted. On 4 May she received the sacrament of the Anointing of the Sick, and two days later, on 6 May, at 9.00 a.m., having ended her earthly pilgrimage, she died a holy death in the genera late. The fame of holiness which had surrounded her during her life, spread after her death and grew unimpeded all over the world. As an expression of a rare plan of God, in her three-fold experience of wife and mother, widow and then religious and Foundress, in her mission of service to humanity and to extending the kingdom Rosa Gattorno brought great honor to the “feminine genius”. Although she was ever faithful to God’s call and a genuine teacher of Christian and ecclesial life, she remained essentially a mother: of her own children, whom she constantly followed, of the Sisters, whom she deeply loved, and of all the needy, the suffering and the unhappy, in whose faces she contemplated the face of Christ, poor, wounded and crucified. –	The Ecclesial Movement for the Laity, which are active in the Church in almost all the parts of the world.